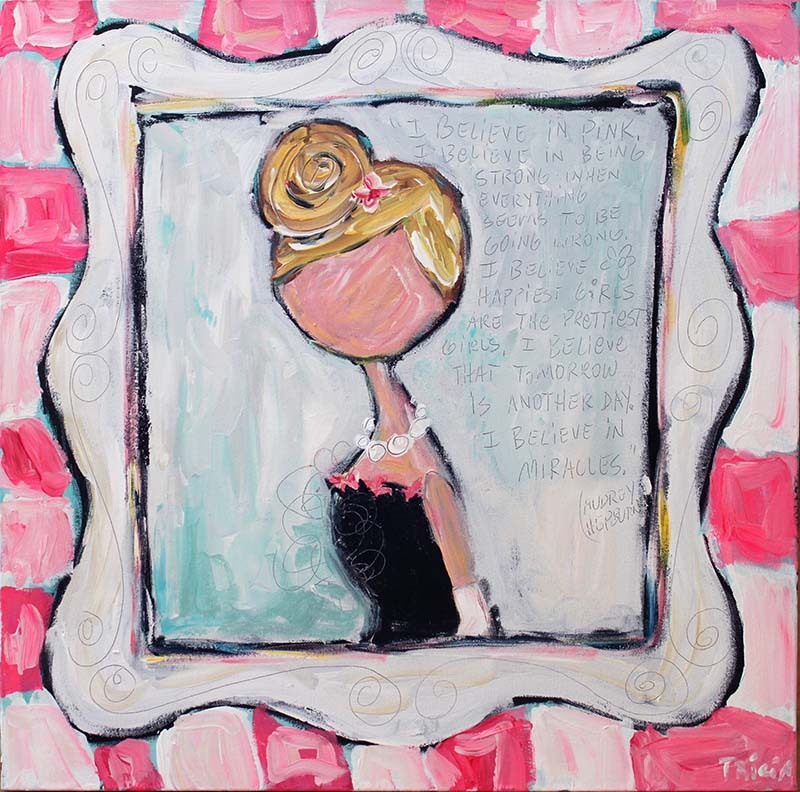 Scroll down to see a variety of new art and products available for purchase online. Heavy textured painting of a turquoise bicycle with basket of flowers by Eddie Powell. Fish made with vintage bottle caps and Mardi Gras beer cans by The Moore Family Folk Art. Couple biking through Seagrove Beach by colorblind artist Aaron Sutton. Stained glass mirror with copper wire and vintage jewels by Susan Frisbee. Textured acrylic paint on wood by Emily Little. A painting of the Seaside Chapel by Tracy Cendoya. Raku pottery vase by local artist Adam Pennington. Recycled license plates on painted wood by Recycled Art Co.
Glass mosaic of hydrangea flowers, framed in wood by Yvonne Cole. Textured acrylic painted on canvas by Holly Rhodes. Wearable art! Painted canvas lined with suede then hand stitched with leather. Removable leather tassel keychain. By Lisa Wilkerson. Stickers collected on 30A on acrylic painting, Holly Rhodes. 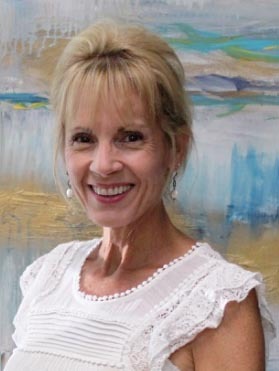 Get to know our featured artist Tricia Robinson by clicking here. Check out our staff favorites and artist picks below. 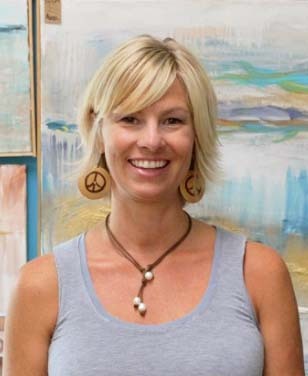 Christi’s favorite work of Tricia’s is “Namaste”! Read more about this painting. 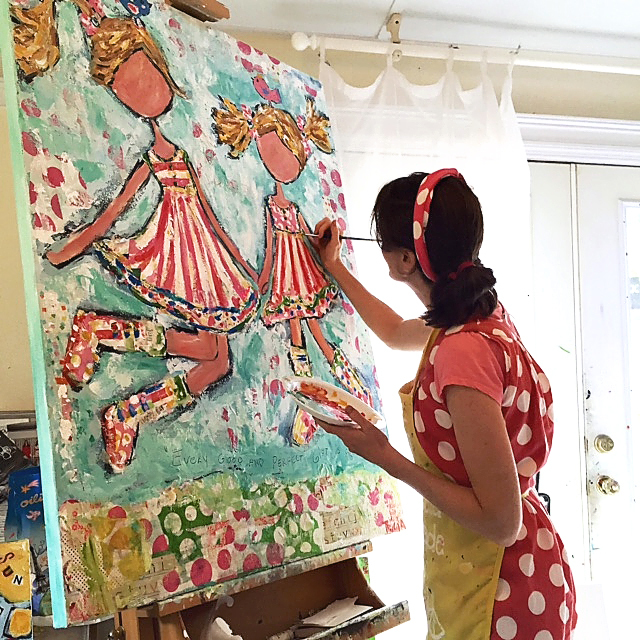 Debbie’s favorite work of Tricia’s is “Magic Blessings”! Aaron’s favorite work of Tricia’s “Dear Guitar”! 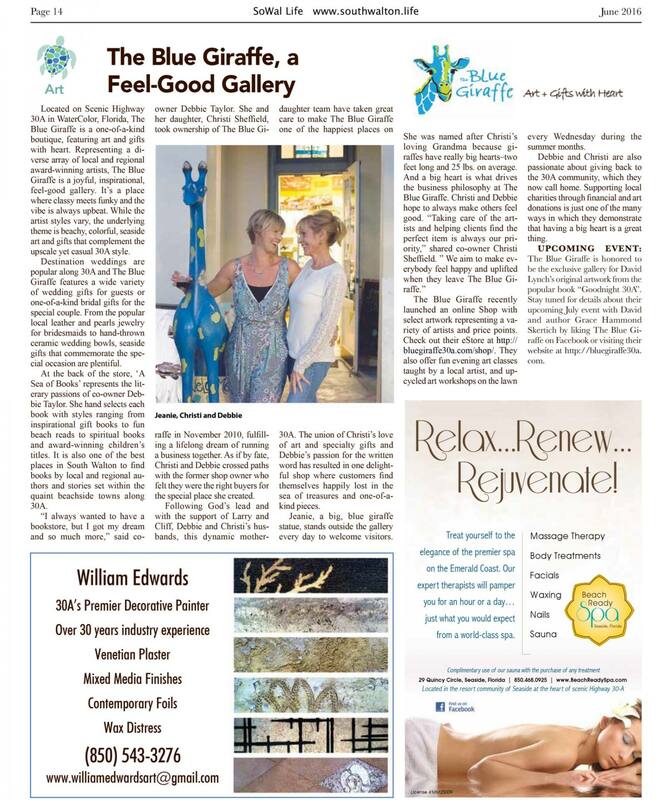 We love South Walton’s new community newspaper! 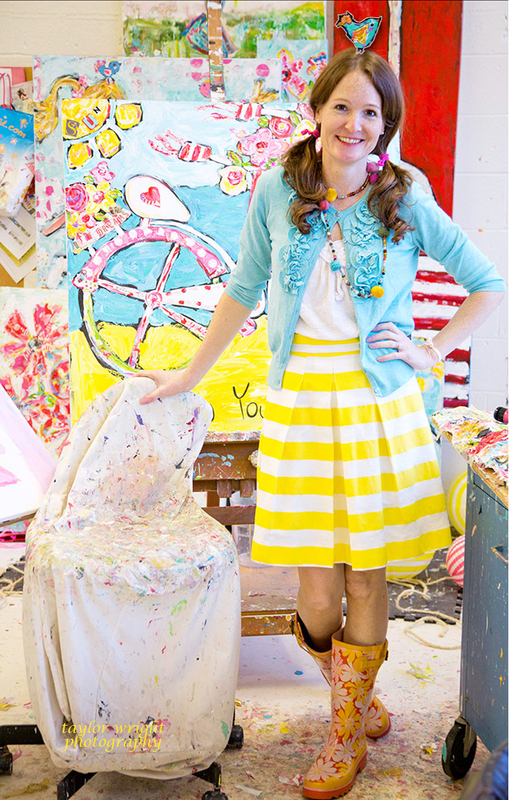 Thrilled to be featured in their very first issue! This sweet little book about the South’s best beach community will be your little one’s new go to bedtime story. It features local favorites like Charlie’s Donut Truck and George’s in Alys Beach, The Red Bar, Bud and Alley’s in Seaside, dolphins, sea turtles, YOLO boards, beautiful dune lakes, blue lupine flowers, WaterColor Beach Club, outdoor movies in Rosemary Beach, and so much more! 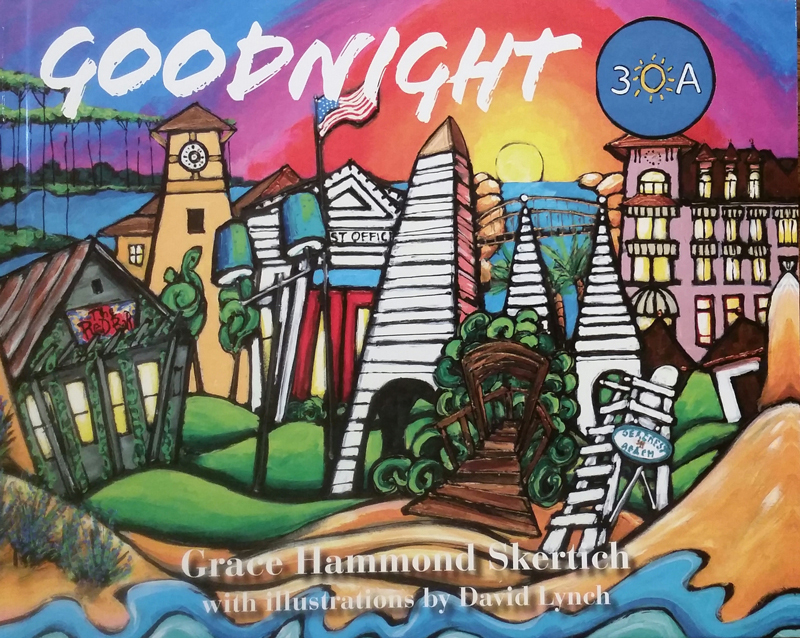 Written by Grace Skertich and illustrated by David Lynch, Goodnight 30A perfectly captures the spirit of this special vacation spot. Goodnight 30A is now available at The Blue Giraffe! Click here and order your book online by July 12th to get it autographed by Grace. We can ship your book or hold it for pickup at the gallery. 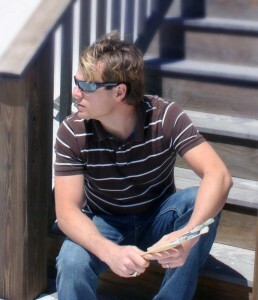 David’s original illustrations from the book, as well as his prints, are available on 30A exclusively at The Blue Giraffe. All twenty-five illustrations from Goodnight 30A can be purchased at the gallery or by clicking here.